This listing is for 1 patriotic bath bomb. Cupcake bath bomb base is scented in a summery frozen cherry limeade scent. 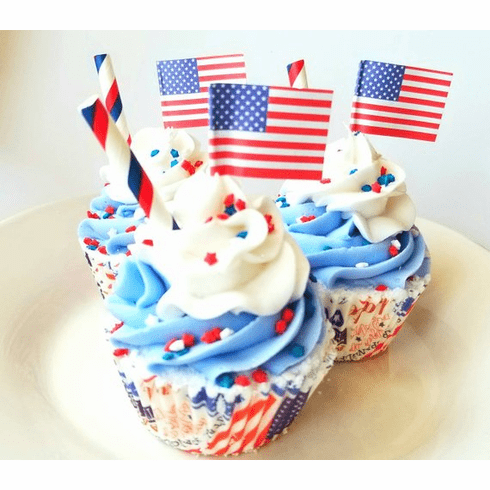 Whipped topping is decorated with star sprinkles, a flag pick, a paper straw, and glitter. Weighs approximately 6 oz.